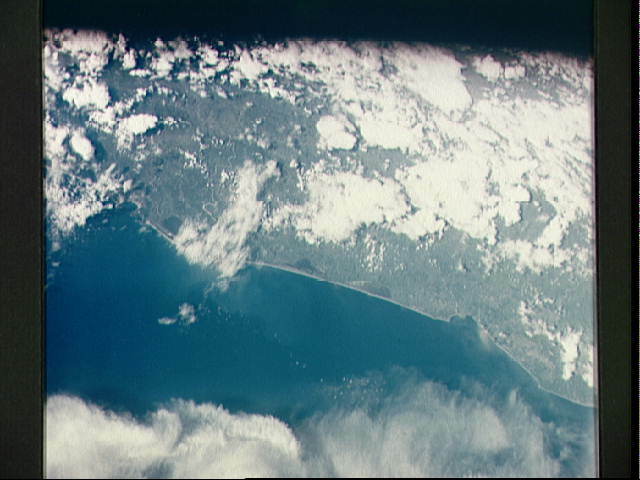 Pacific Coast area of southwestern Mexico, State of Guerrero, from Acapulco to Tecoanapa, as seen from the Apollo 7 spacecraft during its 34th revolution of the earth. Photographed from an altitude of 125 nautical miles, at ground elapsed time of 54 hours and 10 minutes. Much cloud cover in area.